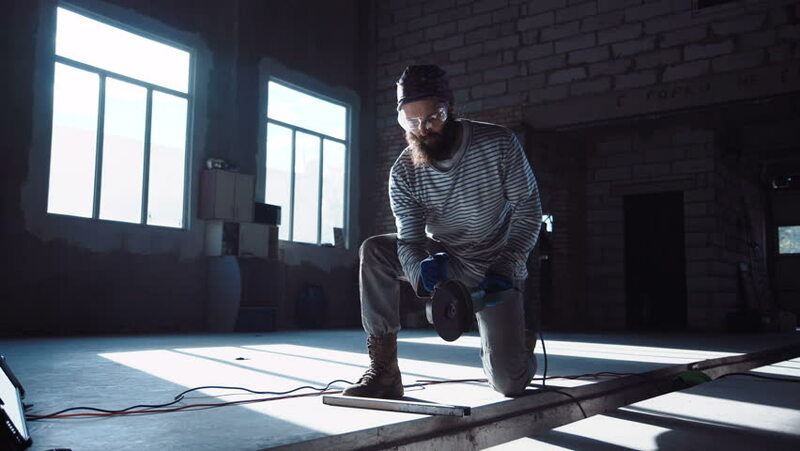 Bearded man in protective glasses working in hangar and cutting metal rod with angle grinder. hd00:09Funny young men are having fun with rolling chair, one is pushing armchair other is lying in it and moving forward in office hall. Youth and joy concept. hd00:14Playful business people are having fun in office lobby riding chair and playing racing game on rolling armchair. Emotional youth, joyful adults and work concept. 4k00:21Worker man cutting metal part with angle grinder and looking at camera. 4k00:17Worker man cutting metal part with angle grinder and looking at camera.